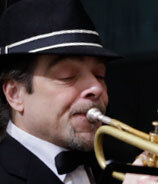 Bernie Wexler, trumpeter, event manager, entrepreneur, hails originally from Montreal, Que. 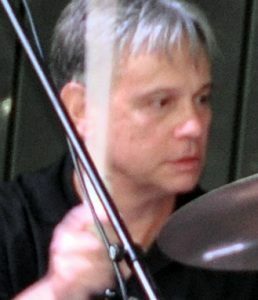 Bernie flourished in the '90's as a key member of Tom Green's popular 'Preville Big Band'. 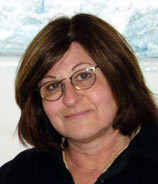 After relocating to Toronto in 2001 Bernie developed 'WPI Events' to become the 'go to', international event management company. 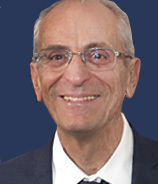 Through his keen sense of management combined with years of experience, Bernie has kept 'WPI' at the top of the list when it comes to producing spectacular corporate and private events. 'Photo Streaming' services and a Pro DJ talent has crystallized a very loyal customer base for his company. 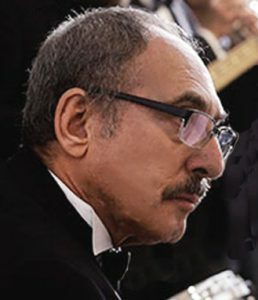 Bernie’s excellent reputation in the field of event management has granted him the ability to pursue and develop his passion – Metro Big Band. 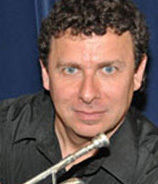 Rick Levine has been performing in and around the Toronto area for well over a decade. 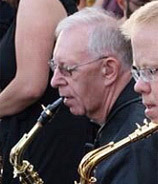 Rick’s dedication to the arts, particularly in the fields of music and entertainment at literally thousands of events is a driving force behind the success of Metro Big Band. 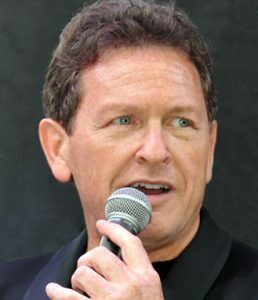 Rick's on stage presence, radiant smile, off the cuff humour and polished vocal stylings charm every performance, delighting audiences and maintaining the overall entertainment pace to an event. Rick's vibrant personality brings every single gig to life! Ron Matthews, is a 'musician extraordinaire', the consummate pro, whose experience far exceeds the space allocated here in this brief bio. In addition to Ron's many years as a music teacher with the Toronto Board of Education, Ron performed for decades sailing around the world, entertaining audiences as the highly respected musical director with Cunard Cruise Lines. Ron is not only a marvellous musician who is highly skilled on a variety of musical instruments, he is a delight to work with and Metro Big Band is honoured to have Ron involved as a senior, irreplaceable member of the group. 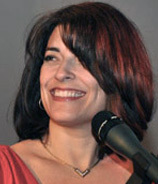 Lisa Levy, a classically trained vocalist, is originally from St. Louis. She's been singing in big bands and combos for twenty years. A self proclaimed "jazz snob", her repertoire includes hundreds of jazz standards, swing and pop songs. Lisa's passion is performing, so she's thrilled to be a part of the Metro Big Band. By day she is a freelance graphic designer. She even created this web site! 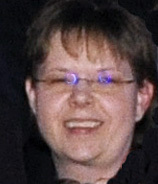 Kenny studied privately with Tony Braden (guitar), Patricia Stewart (Piano) and at Humber College. He is influenced by Eric Clapton, Wes Montgomery, Mason Williams, Paul McCartney, and James Jamenson, leader of the Kenny Simon Hourglass Band. Kenny also enjoys working out, skiing, movies, theatre, boating & fishing, song writing and composing. 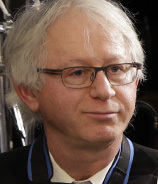 Lorne Tepperman - Piano Lorne began studying classical piano at the tender age of 5, spending much of the next couple decades studying music, playing jazz and dance tunes with bands around town. 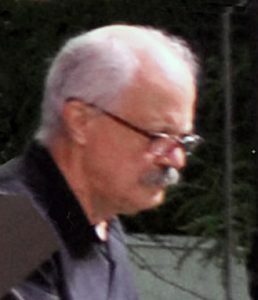 A career at the University of Toronto as Professor with the Department of Sociology occupied him on a full time basis for much longer than ever intended. With music formerly on the back burner, Lorne is currently once again sharing his musical gift playing jazz and dance favourites via the local band scene. Everyone agrees that Metro Big Band greatly benefits from Lorne Tepperman's musical contribution on the piano...& Lorne is having a great time too! 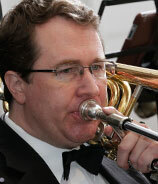 Martin Hubel plays lead trombone. 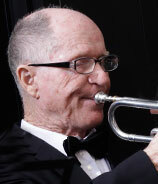 He was born in Toronto and has played trombone since 1969. 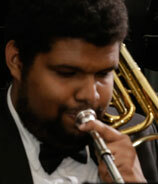 Martin has been a member in a wide variety of groups including the Royal Regiment of Canada, the Swing Band of the Royals, the Mississauga Symphony, and the Metropolitan Silver Band. 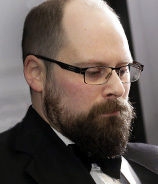 In his day job, Martin runs a worldwide IT consultancy specializing in large database systems. 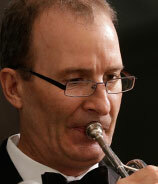 Laurie is a Medical Doctor who has been playing trombone for decades. She currently performs with several community based bands. In addition to her orchestral and chamber music work, she is very experienced in musical theatre. Laurie also records with a small group of musicians in her modern home based studio setup. 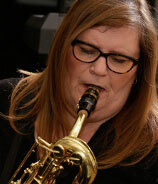 Laurie regularly manages and updates the FACEBOOK Page and INSTAGRAM stream on behalf of Metro BIG BAND. 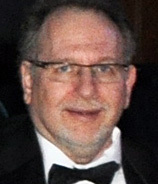 Daniel took early retirement in 2012 from an academic career in the USA where he taught engineering and mathematics and was director of the Tulane Institute for Macromolecular Engineering and Science (TIMES), as well as Program Director at the National Science Foundation (2009 to 2012). 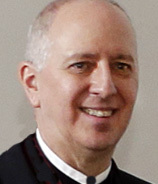 He published over 200 scientific papers and is the co-author of five textbooks and eight edited books. 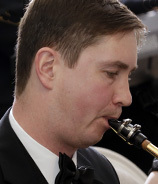 He studied music at Humber College from 2012-2014, to then start playing in several big bands. 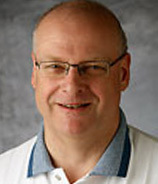 He is currently also Adjunct Professor in the Faculty of Applied Science and Engineering at the University of Toronto, and associate editor of the American Institute of Physics journal: Physics of Fluids.